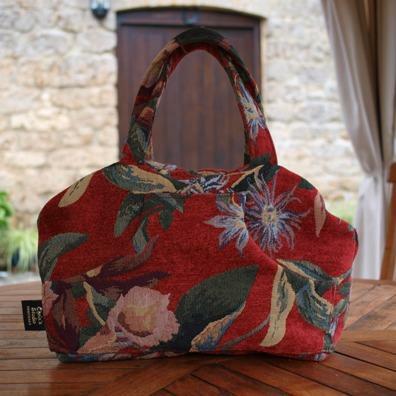 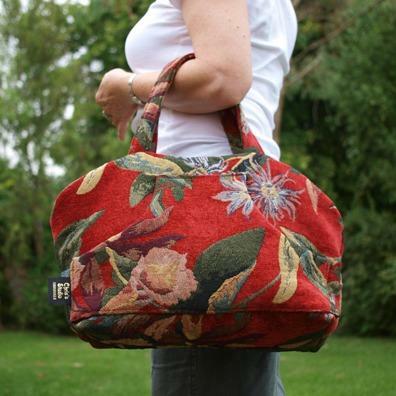 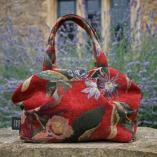 Style: A Hannah handbag style carpet bag in a woven fabric with a large floral tapestry pattern in bold shades of red, green and beige, with integral handles made from the same material. 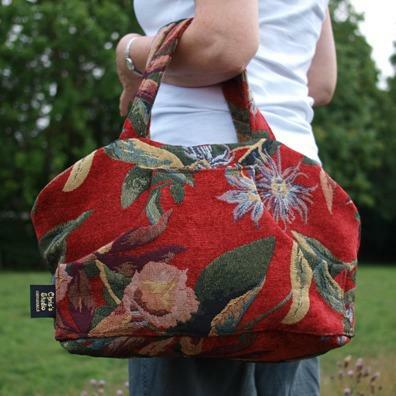 Fully lined with a faux suede in crimson with two internal pockets. One external pocket on the front of the bag with twin jeans style openings and a Gladstone bag style closure (10'' frame).